Acorn Hill Lodge is on Old Forest Rd in Lynchburg & offers hotel suites & extended stay suites in a bed & breakfast atmosphere. All of the suites have full kitchens with private baths and a made-to-order hot breakfast is served in the guest dining area. We have two VIP Jacuzzi Suites with fireplaces and we also have a 3 bedroom/2 bath apartment. Room rates start at 105 per night with discounts for corporate or extended stays and we are dog friendly. It is the perfect setting for corporate retreats, dinners, events and weddings with a dining room that seats 92 guests and features a commercial kitchen and separate event space for up to 100 people. We offer southern charm and hospitality in a country-like setting. A guest recently said that they thought Acorn Hill is ''Lynchburg's Best Kept Secret.'' 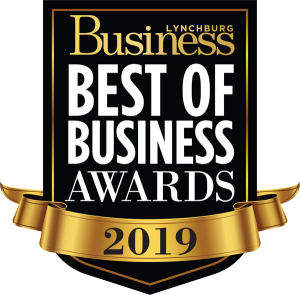 Acorn Hill was voted the Best Bed & Breakfast for the last 3 years in the Lynchburg Living Magazine. Acorn Hill Lodge offers southern charm and hospitality in a country-like setting.